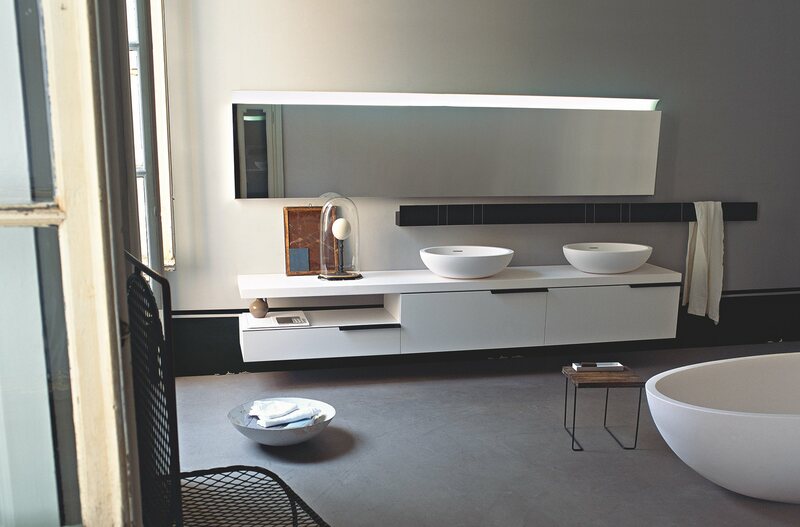 The vanity tops in the Flat XL collection can be wall-mounted, fitted onto the storage units from the same collection, or peninsular. 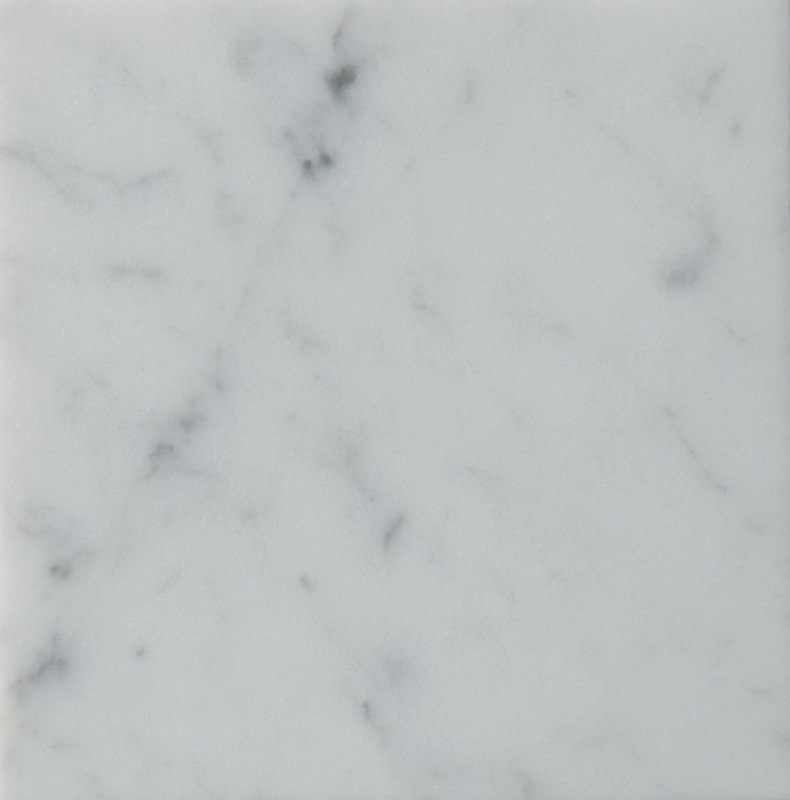 Available in two depths (440 and 500 mm) and three thicknesses (30, 60 and 120 mm) with straight or shaped edges. 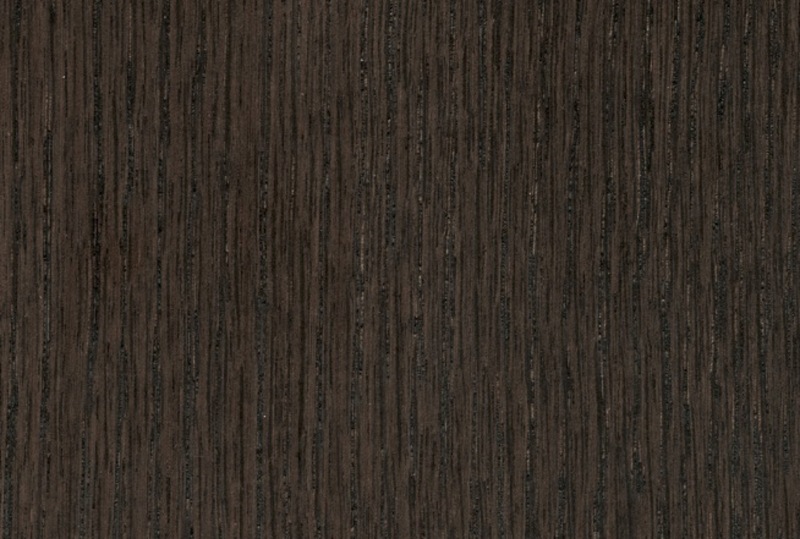 Plain edge comes in Oak (natural, brown or black), Teak (natural) and Marble. 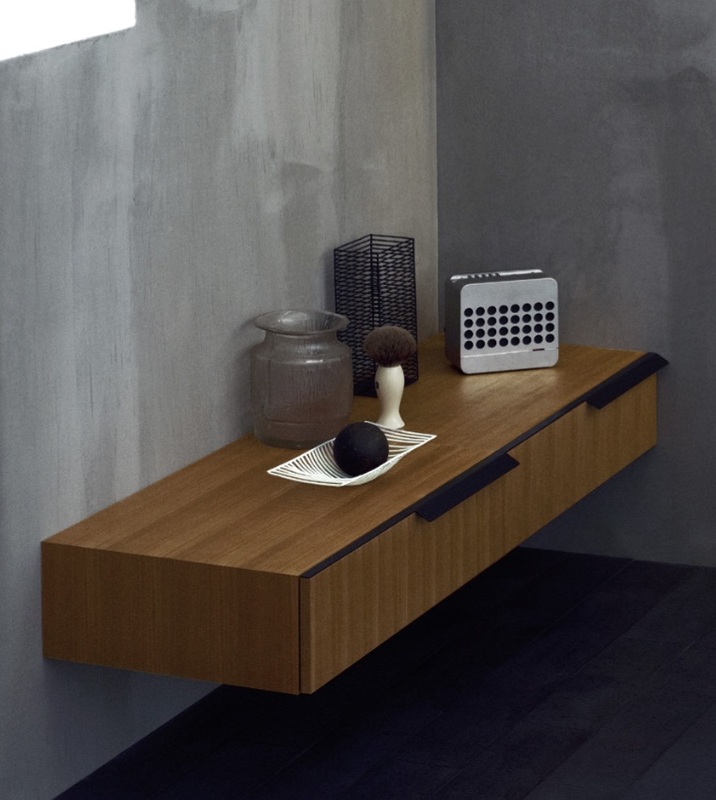 Shaped edge comes in Oak (natural, brown or black), Teak (natural), Marble and Exmar – Cristalplant biobased in white. 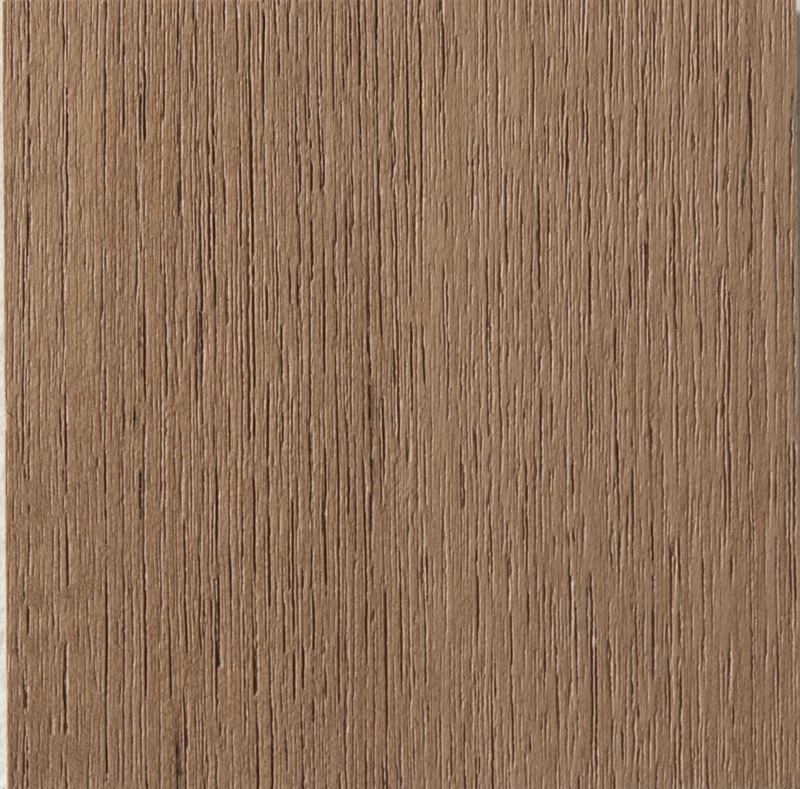 Plain edge comes in Oak (natural, brown or black), Teak (natural), Exmar – Cristalplant biobased in white and Parapan in white or grey. 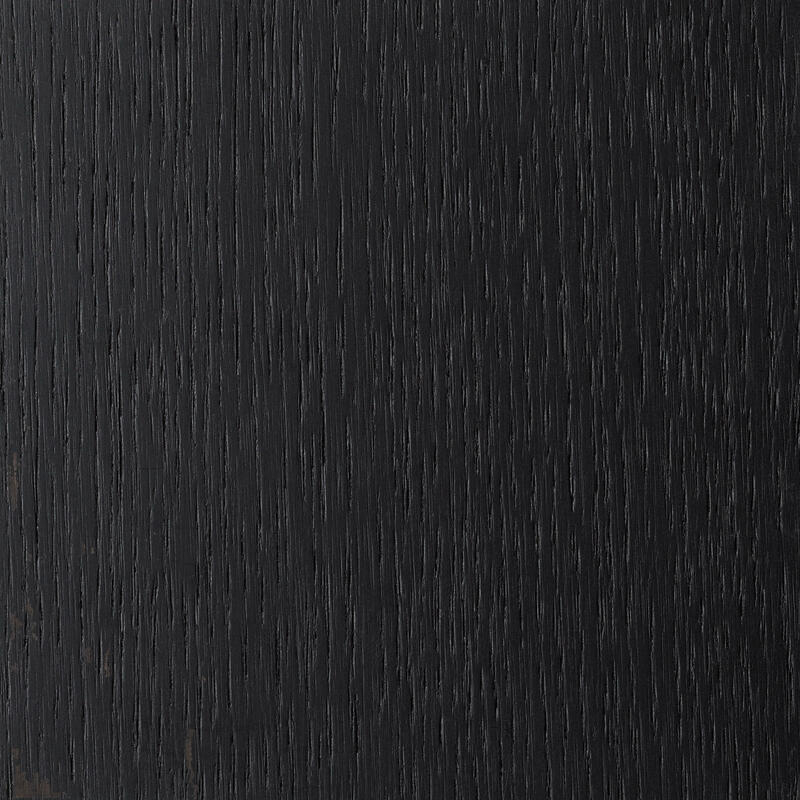 Shaped edge comes in Oak (natural, brown or black) and Teak (natural). 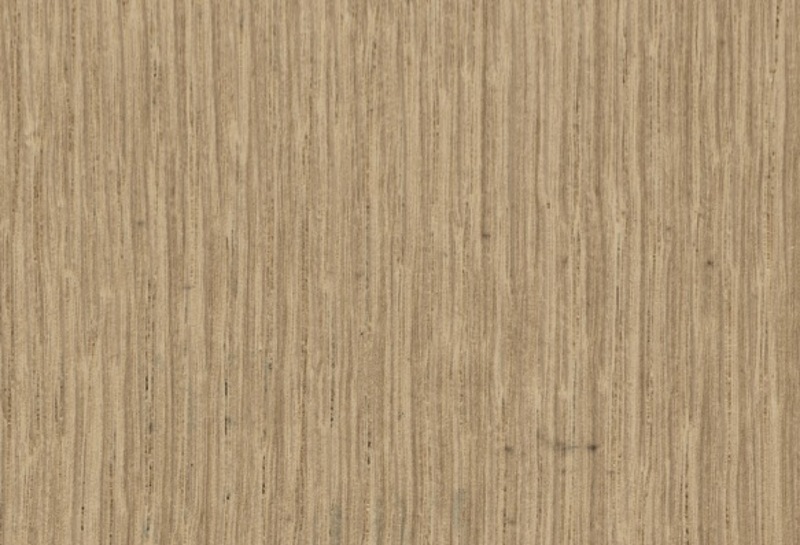 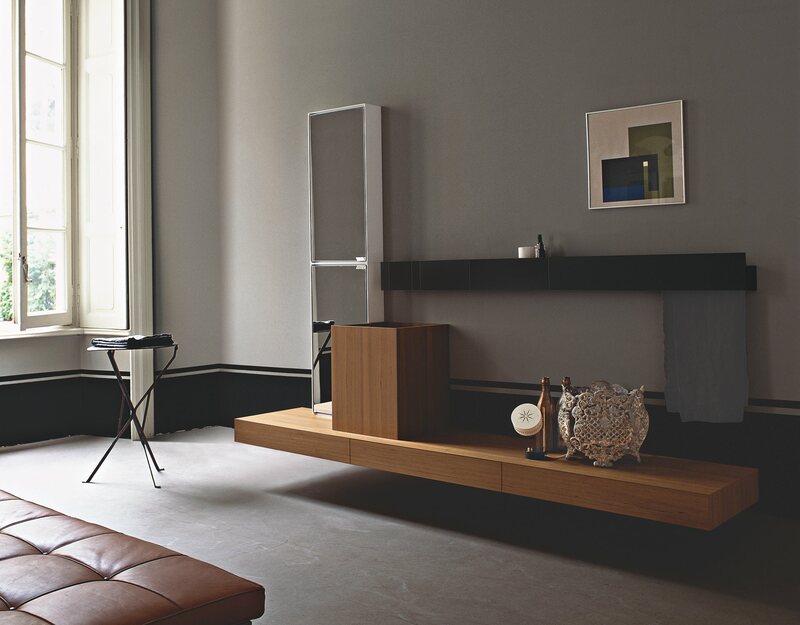 Plain edge comes in Oak (natural, brown or black), Teak (natural) and Parapan in white or grey. 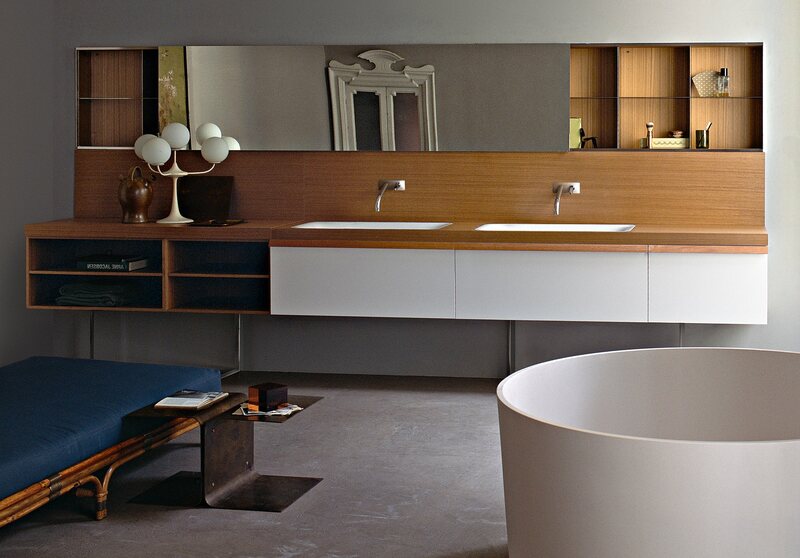 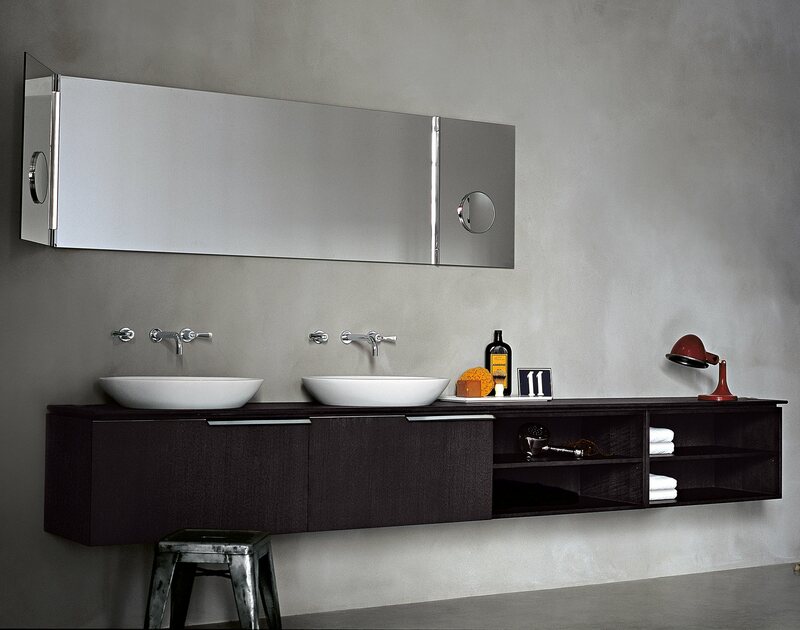 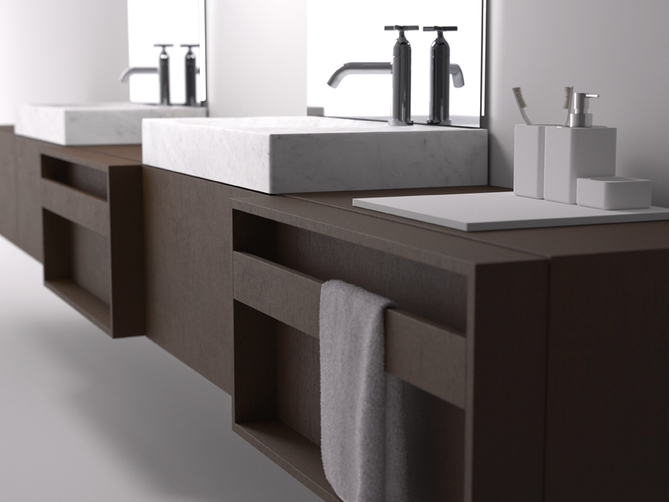 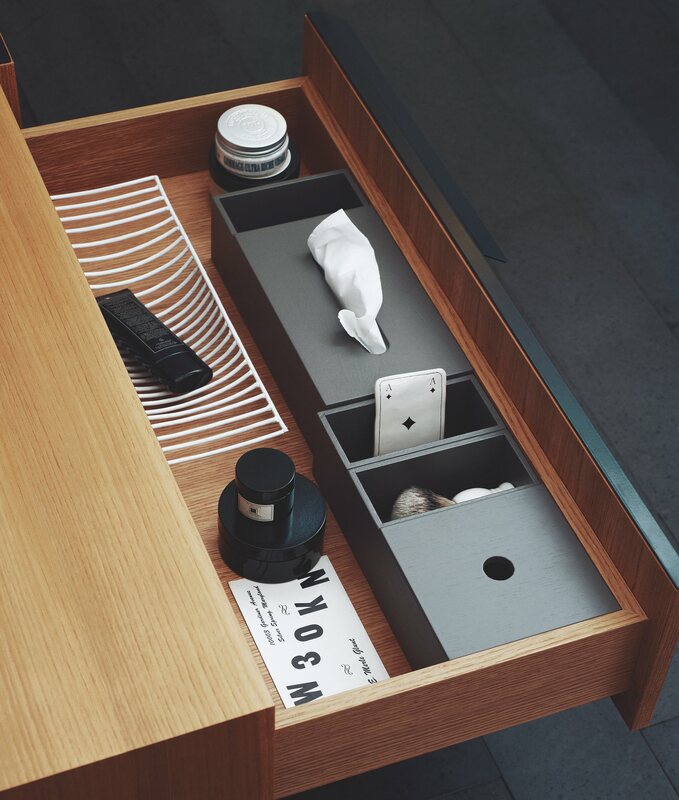 Vanity Top with integrated drawer comes in Oak (natural, brown or black) and Teak (natural).